When you’re traveling in another country, you want quick access to your favorite translated phrases—whether it’s “Where can I find a museum?” or “Do you know where the bathroom is?” Google Translate lets you save these translations in your Phrasebook, but you still could not easily access them on the go from your phone or tablet. Starting today, you can automatically sync the phrases in your Phrasebook to your Android device using the Google Translate mobile app, so you can carry your most useful phrases with you wherever you go. 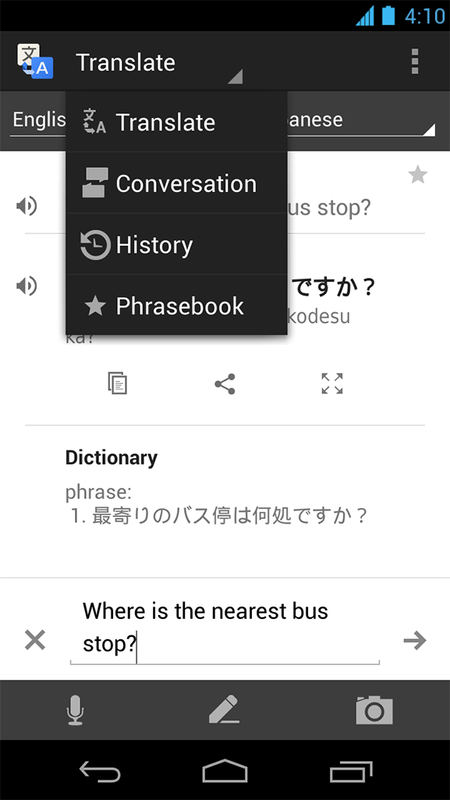 To get started, select Phrasebook in the app menu of the Google Translate app for Android. 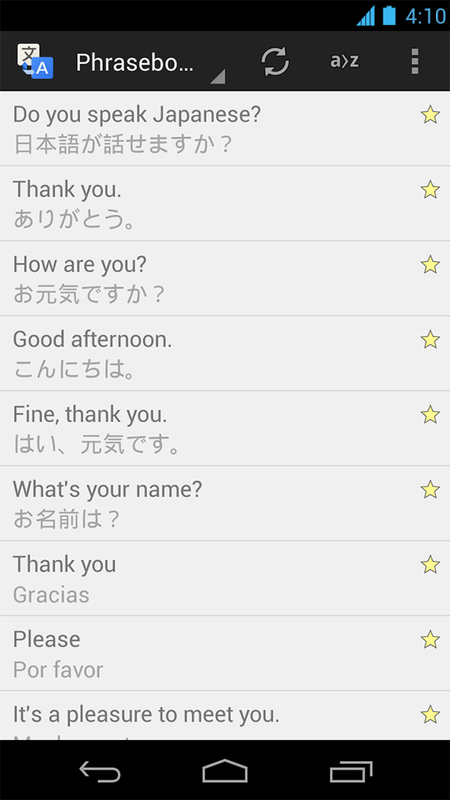 (Notice that Phrasebook replaces the Favorites feature; your saved phrases are now part of your Phrasebook.) To sync your phrases, simply sign in to your Google Account by tapping the ‘Sign in’ button at the top of your Phrasebook. With your favorite phrases synced across devices, we hope you’ll never be at a loss for words again. Last but not least, this latest release of Google Translate for Android sees a significant improvement to the camera-input feature. You can now use camera-input to find translations in 16 additional languages: Bulgarian, Catalan, Danish, Estonian, Finnish, Croatian, Hungarian, Indonesian, Icelandic, Lithuanian, Latvian, Norwegian, Romanian, Slovak, Slovenian, and Swedish.